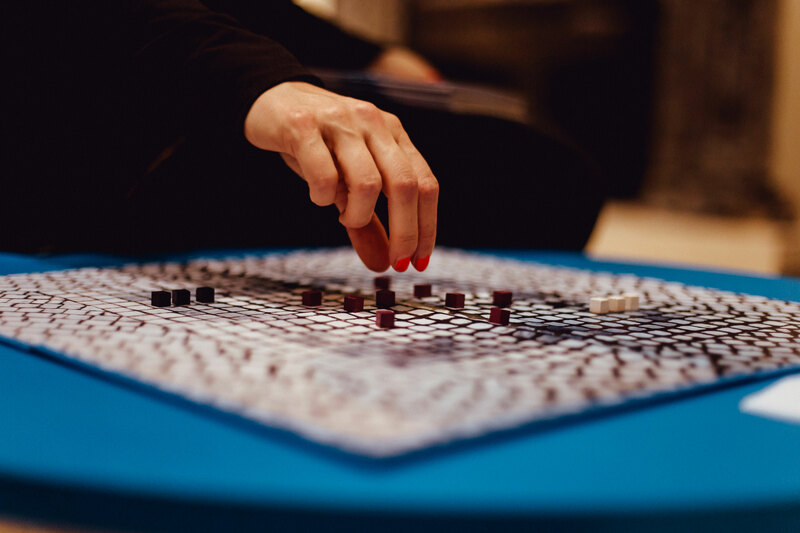 Games we Found at the V&A, created for the Parallel Worlds Late, came out of our work with patterns as gameplay fields. We took sections of the walls and floors, printed them at life size on gameboards, and then designed simple boardgames to fit them. All you need are some rulesets and counters to recontextualise a building as a playable object. 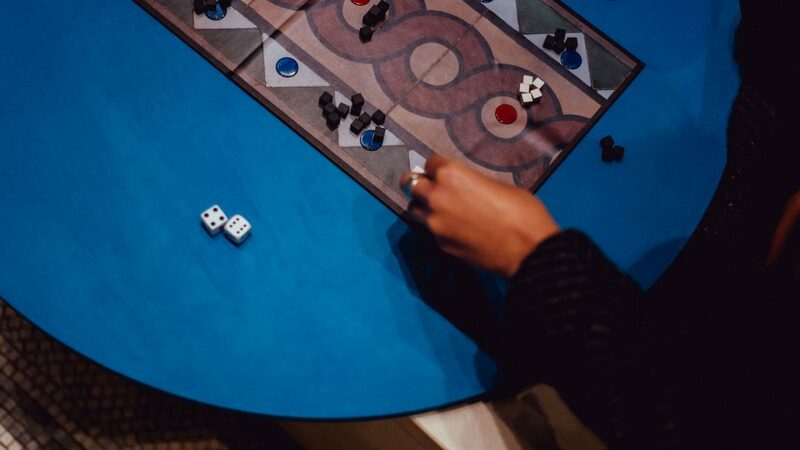 We designed games on patterns we found on walls and floors, and set up a scavenger hunt around the museum, giving players a set of postcards showing still more patterns and encouraging players to look closely at floors, ceilings, and everything in between. 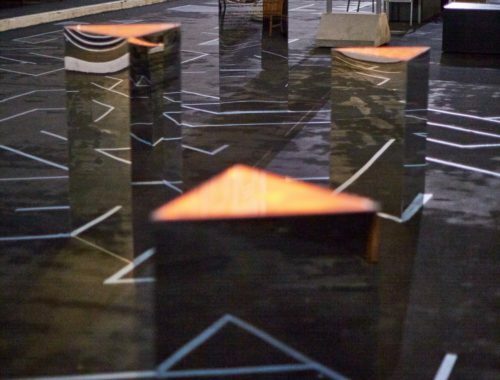 We’d love to try this in other buildings – finding the patterns and rules that allow people to play, turning a slice of the environment into a game board. 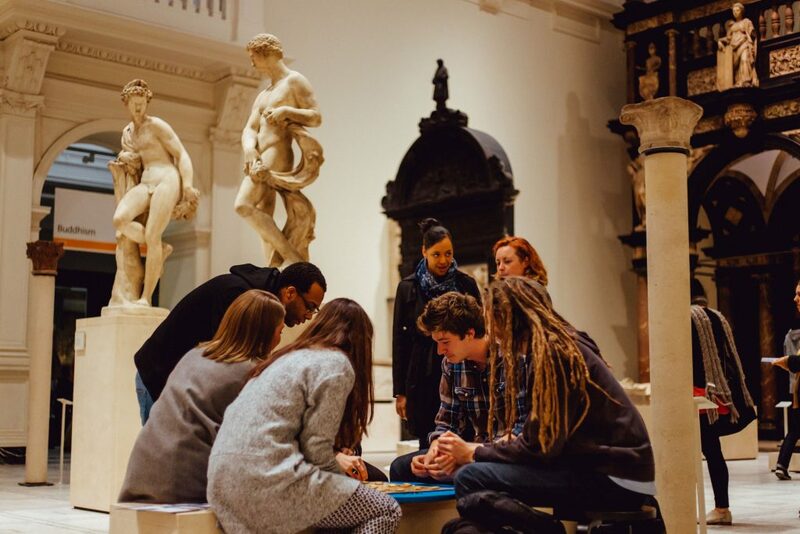 Games we Found at the V&A ran at the Victoria and Albert Museum on 25 November 2016. 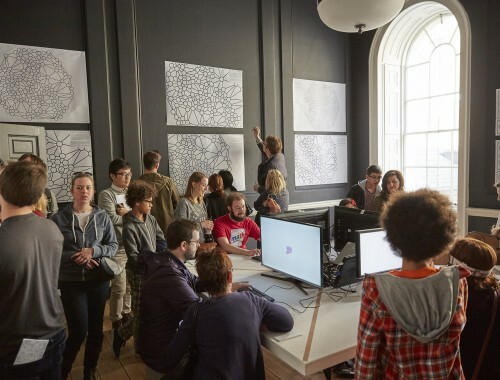 Images used with permission from The Victoria and Albert Museum: Photographer – Gabriel Bertogg.